I assumed when my husband and I moved to a house with a two-car garage, I’d get to park my car in one of said spaces. Boy, was I wrong. Instead, it’s been transformed into a workshop for his new passion: woodworking. Over the past few years, I’ve been immersed in the tools and terminology, and my house routinely is covered in sawdust. Through all that, I’ve also developed an interest in the craft. I even learned how to make a set of wooden lawn dice for a giant Yahtzee gift set by using the drill press, miter saw, and a flush cut saw. I still wish I’d kept that gift for myself. This is a hobby/passion/profession with a huge number of tools, skills, and techniques to learn about, so I wanted to find some of the best blogs out there that appeal to amateurs and pros alike. Sellers is a traditional woodworker based in the UK. He only uses hand tools and has become an icon during his 50 years in the industry. He considers himself a “lifestyle woodworker” and is one of the best-known woodworking teachers in the world. Sellers has impressive pieces in the homes of former presidents and politicians, but his posts still appeal to amateur woodworkers. His inclusive and affordable approach makes his videos especially popular. 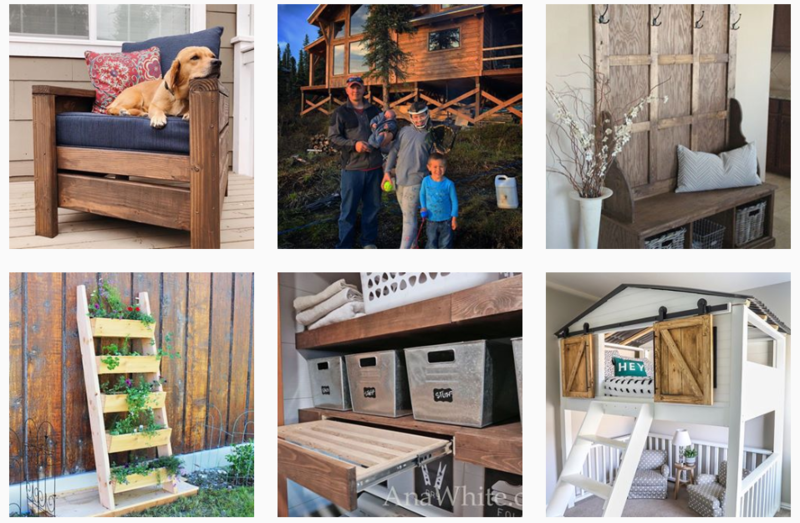 If you’ve ever scrolled through the DIY section of Pinterest, you’ve probably come across one of White’s woodworking plans. She manages her blog from Alaska, where she and her husband built their home themselves, without contractors. White’s blog has projects that just about anyone can do and maybe best of all, they’re affordable. She tries to create plans that can be executed quickly with a minimal number of tools and material waste. The “Bragging Board” is fun to browse and includes photos from White’s followers that have used her plans and want to show off their own results. It’s proof that her plans are doable. I especially love her plans for Modern Outdoor Chairs and these Cedar Planters for less than $20! 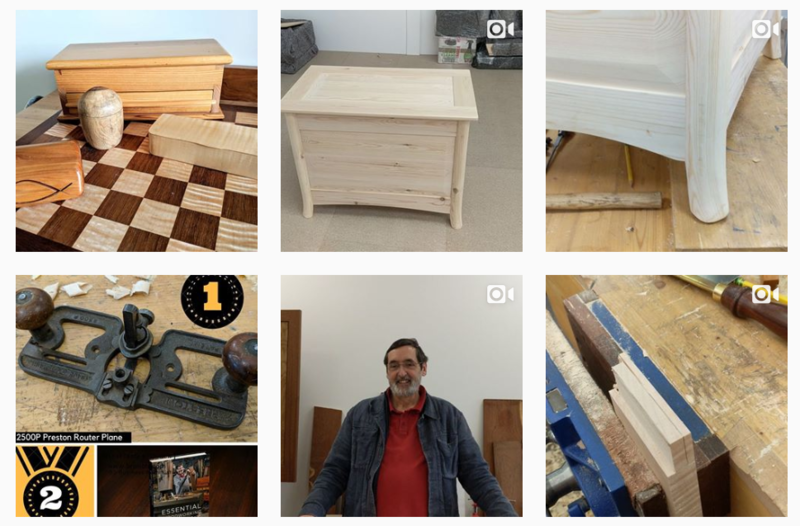 Marc Spagnuolo started this blog after leaving the biotech field and following his passion of woodworking – he’s mostly self-taught. He brings a fun sense of humor to his weekly videos and posts, which really makes them stand out. Spagnuolo’s style combines traditional hand tool and power tool techniques. He’s even written a book about it called Hybrid Woodworking. His projects range from practical pieces like dining chairs and coffee tables, to ones that are fun for everyone like a bartop arcade and a yard version of the classic 4-In-A-Row game. Mattias Wandel manages Woodgears from his home in Canada. He is a former engineer who decided to pursue woodworking in 2007 and brings his love for inventing to his projects. His creative pieces run the gamut from toys like a whistle to bookcases to actual wooden machines like a homemade box fan. In addition to the detailed posts and videos, Woodgears also has full project plans available to purchase from the site. Wandel typically posts a new article every Friday, and sometimes extras in between. Plan to spend some time on the site, because you’ll get sucked into Wandel’s unique designs like these: Loony wooden whistle, The slinky machine: a slinky escalator, and Making wooden dice with the pantograph (I’ll admit these are much better than mine). P.S. Ever wonder how we come up with ideas for our blog profiles? Our handy list of industries and subjects on PR Newswire for Journalists stays top of mind. 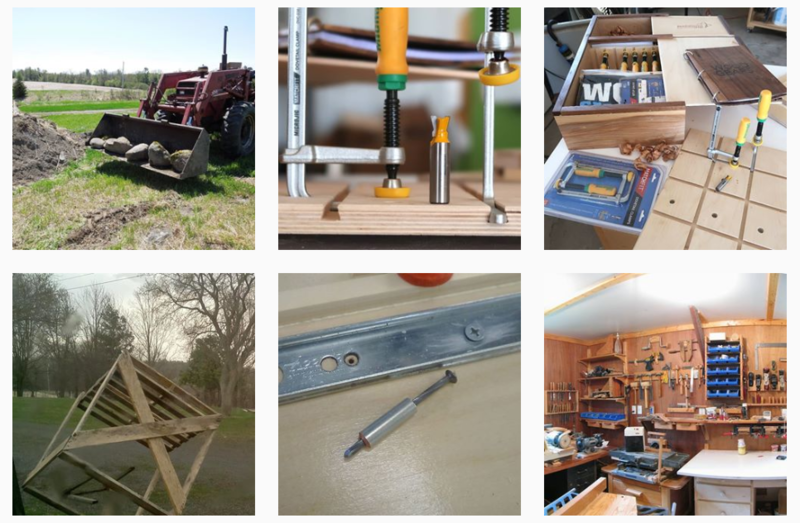 If you’re a blogger or journalist looking for woodworking news, let us know. We can customize a newsfeed for you. Author Rocky Parker works in Audience Relations at PR Newswire. When she’s not working, Rocky can be found testing new recipes, binge watching a new Netflix series, or taking her pitbull puppy Hudson out around town.